Back in 2001, Alan Kerins had the rare experience of playing in both the All-Ireland football and hurling finals for Galway. Throughout the noughties there was plenty of hype surrounding his dual player status but since then Alan has pursued another passion and raised millions of euro that has saved and changed thousands of lives in Africa. 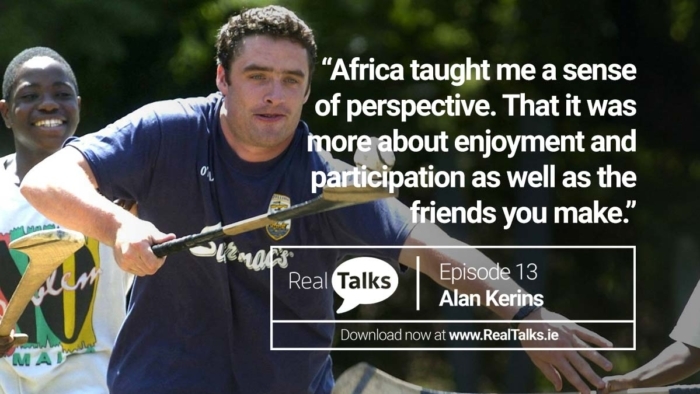 During the podcast we spoke about how playing sport at such a high level helped him to develop the skills and self-confidence to take on such massive projects and how staring death in the face while in Africa changed his perspective on both sport and life. A quick reminder for you to please share the podcast in your whatsapp groups or online via Twitter and Facebook as your support is invaluable to us in spreading the word and helping to celebrate these GAA heroes.